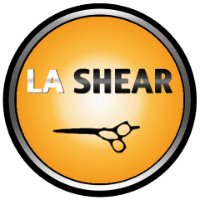 The Top Selling Blow Dryer in L.A. and salons around the world! High Powered. Light weight, great balance and feel. 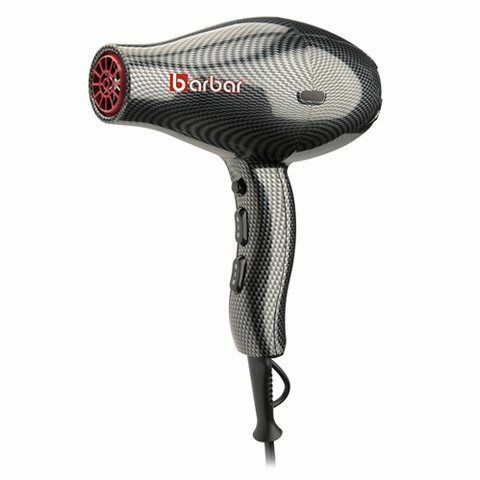 The NEW BARBAR Professional 9800 Ionic Blow Dryer delivers quick drying and precision styling in no time flat! Equipped with a light weight but powerful DC motor and built-in ionic charger, the 9800 Blow Dryer adds volume and shine while dramatically reducing frizz. Ibiza Hair Kristal 3600 Black. We searched the world for a blow dryer that would work harmoniously with our world famous round brushes. 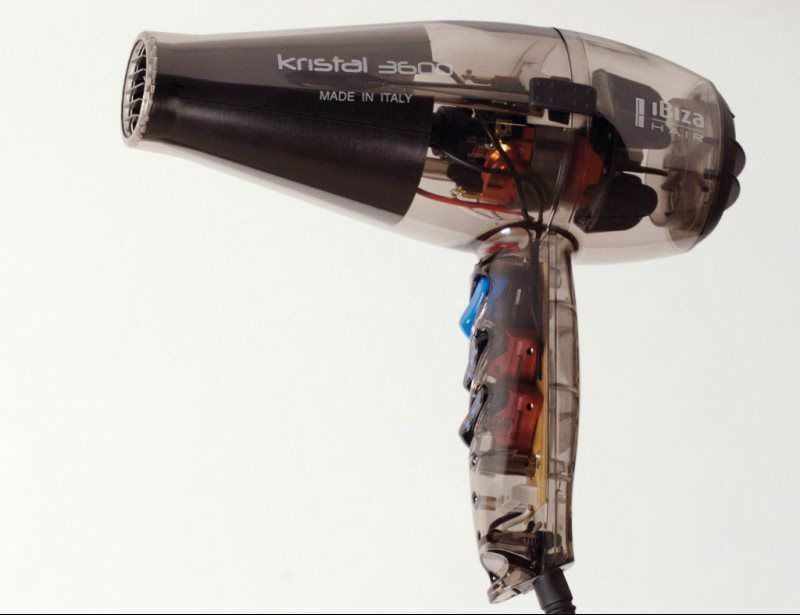 The Kristal 3600 is a high performance hair dryer. It’s lightweight, yet powerful and has perfect balance to go with the light weight Ibiza Hair round brushes. It is a classic dryer and blow drys the hair in half the time of a regular blow dryer. 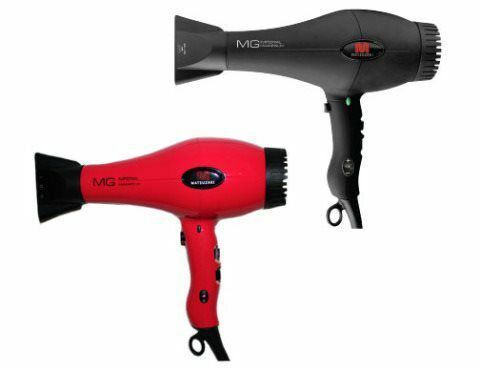 Massive airflow gets hair voluminous in minutes. Includes 2 nozzles. Available in solid black, translucent grey, translucent red and 220 Volt for European travel. Made in Italy. Ibiza Hair Kristal 3600 Gold. We searched the world for a blow dryer that would work harmoniously with our world famous round brushes. 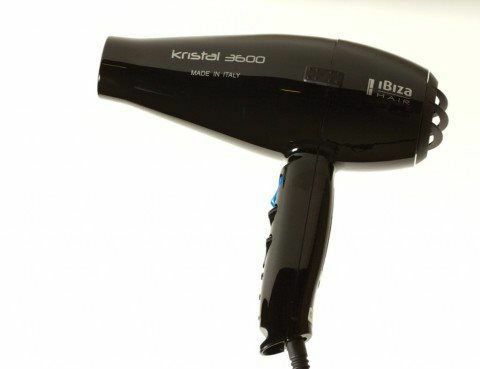 The Kristal 3600 is a high performance hair dryer. It’s lightweight, yet powerful and has perfect balance to go with the light weight Ibiza Hair round brushes. 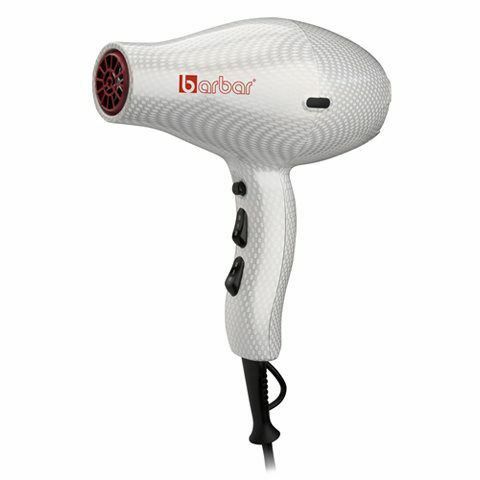 It is a classic dryer and blow drys the hair in half the time of a regular blow dryer. Massive airflow gets hair voluminous in minutes. Includes 2 nozzles. Available in solid black, translucent grey, translucent red, gold and 220 Volt for European travel. Made in Italy. Ibiza Hair Kristal 3600 Translucent Grey. We searched the world for a blow dryer that would work harmoniously with our world famous round brushes. 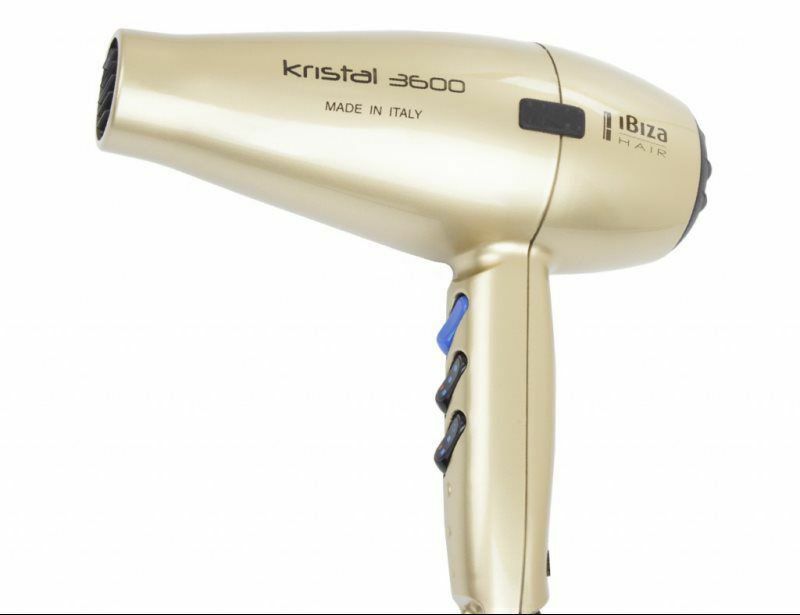 The Kristal 3600 is a high performance hair dryer. It’s lightweight, yet powerful and has perfect balance to go with the light weight Ibiza Hair round brushes. 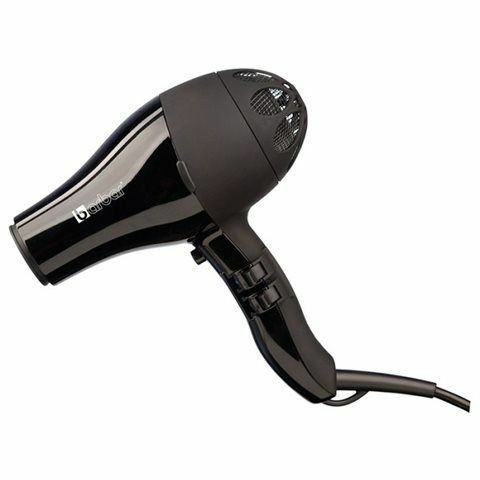 It is a classic dryer and blow drys the hair in half the time of a regular blow dryer. Massive airflow gets hair voluminous in minutes. Includes 2 nozzles. Available in solid black, translucent grey, translucent red and 220 Volt for European travel. Made in Italy. Comes in Red or Black.